This popular Orlando attraction is a true tribute to the world-renowned Titanic, featuring a full tour with realistic recreations of the ship’s most iconic features and spaces, such as the Grand Staircase, a First-Class Parlor Suite, the Verdana Cafe, and the Promenade Deck. Visitors can even see a real iceberg up close, as well as take on roles of actual passengers on the ship during the tour. 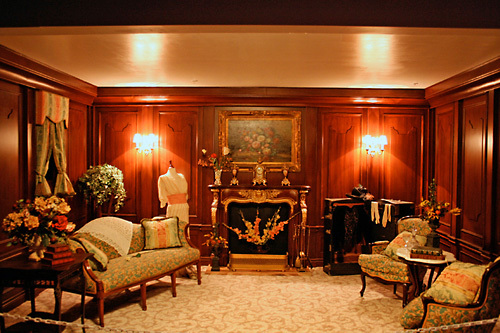 Explore detailed recreations of the Grand Staircase, First Class Parlor Suite, Veranda Cafe and Promenade Deck. Actors in costume portray notable characters throughout the exhibit. Please arrive 30 minutes prior to your tour time. No food or drinks allowed inside. Cameras are allowed inside the exhibit, but no videos. 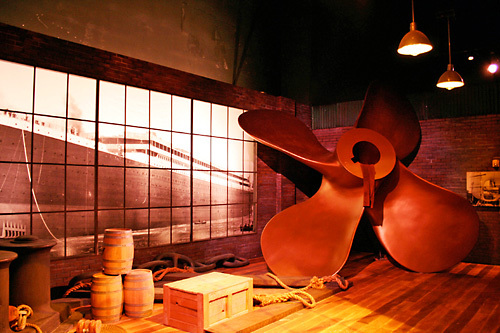 Titanic - The Artifact Exhibition has opened their new permanent home at 7324 International Drive, Orlando, FL 32819, ½ mile North of Sand Lake Road. 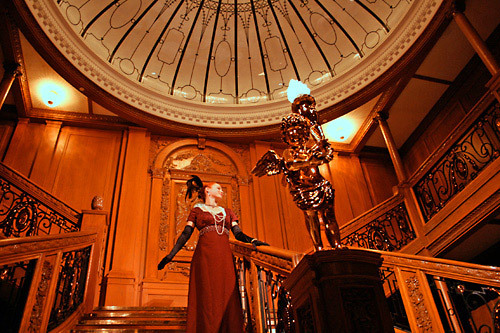 Explore full scale recreations of Titanic’s most famous locales, including her Grand Staircase, First Class Parlor Suite, Veranda Cafe and Promenade Deck. 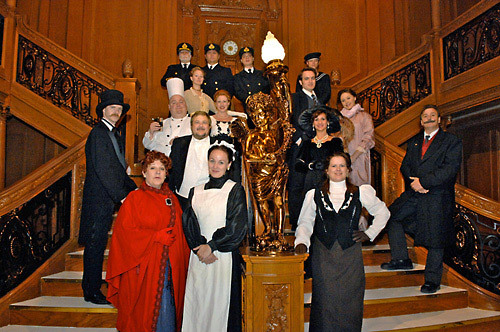 Exceptionally trained historians in period costume portray famous Titanic notables such as Captain Smith and Molly Brown, sharing stories of her passengers and crew during a guided journey. 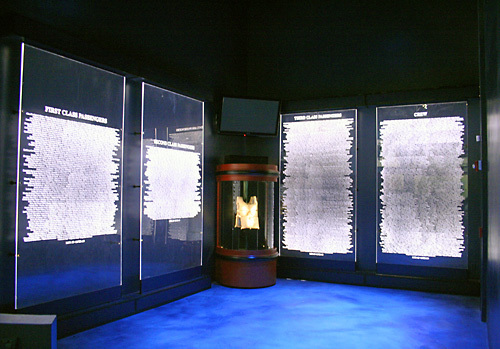 The multi-room exhibit also showcases an Iceberg which guests can touch to experience the cold of that fateful night. An extensive Underwater/Expedition area displays an 8-foot replica of Titanic as she appears on the bottom of the Atlantic today as well multiple screens showing never before seen HD footage of the wreck shot during the most recent expedition, led by exhibit owner, G. Michael Harris. Visitors can explore the ships interiors, learn about expeditions to the Titanic and discover answers to what happened the night of the sinking. This attraction ticket does not include the Dinner Event. Open every day at 11:00 am and general admission tickets are available anytime during operating hours. The exhibition closes at 10:00 pm each night. Guided tours are available beginning at 11:00 am at the top of every hour. The last tickets are sold one hour before close. Yes. Guided tours are available at the start of every hour. When should I arrive for the guided tour? Please arrive 30 minutes prior to the hour you would like to attend the guided tour. 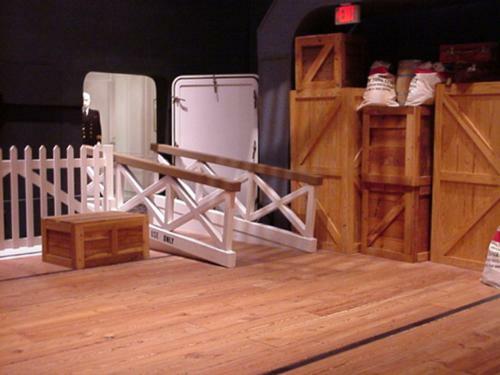 You are also able to tour the museum on your own at any time. Titanic The Experience staff will make every effort to accommodate late arrivals. Will we have to leave at a specific time? No, you are welcome to enjoy the Exhibition for as long as you like, during operation hours. What can I not bring into the museum? Pets - Guide dogs and other service animals only. Photography - cameras, video camera phones. Large packages, shopping bags or backpacks. Cellular phones must be turned off in the Exhibition. Smoking is not permitted in any area of the Exhibition Center. Approximately how long does it take to tour the Titanic Museum? It takes about an hour and 15 minutes. Is the museum handicap accessible? What does the tour consist of? 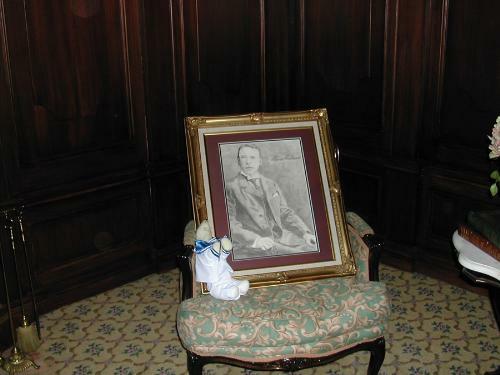 Exceptionally trained historians in period costume portray famous Titanic notables such as Capt. Smith and Molly Brown, sharing stories of her passengers and crew during a guided journey. The multi-room exhibit also showcases an ‘Iceberg’ which guests can touch to experience the cold of that fateful night. Are cameras/video allowed at the Titanic Museum? Cameras are allowed, but video is prohibited. Can I bring food or drink on the tour? No. Food or beverages are not permitted inside the attraction.